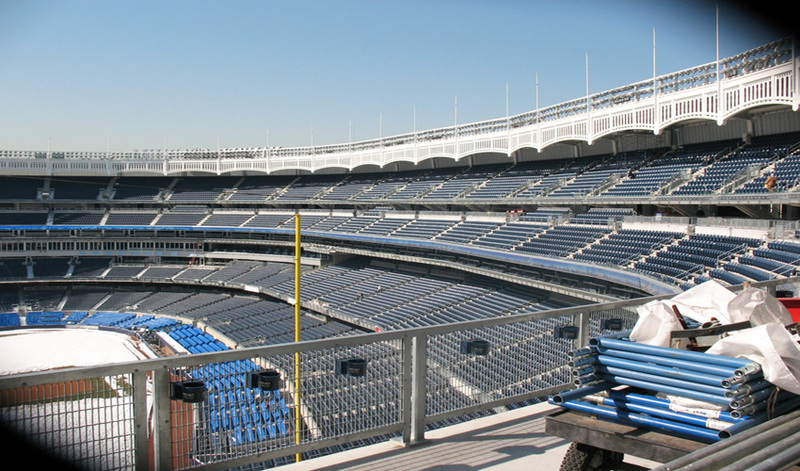 The Di Salvo Engineering Group was responsible for the structural design of thousands of feet of guardrails for Yankee Stadium. It was important to the Yankees to provide fans with railings that fit naturally within the bowl-shaped stadium and obstructed views of the ball field as little as possible. Having toured recently constructed arenas and ball fields throughout the USA, the Yankees were well aware of the unintended obstructed views that can result from poorly planned railings.